So you got the call! (or more realistically, the email)…you have an interview! This is the moment you have been waiting for. You get to show off your stuff, your experience, your knowledge. You are the right person for the job, and dang it people like you! You have interviewed for other jobs in the past, so you have a good idea of what to expect. But the hiring manager tells you your first interview will be a 30 minute remote interview. It could be video or phone, and we’ll cover both, but there are few important considerations to make sure you have the best possible chance of success. Why do companies interview remotely? Companies interview remotely for two main reasons. A remote interview could be a way to take a first pass at the candidate pool to narrow the funnel. 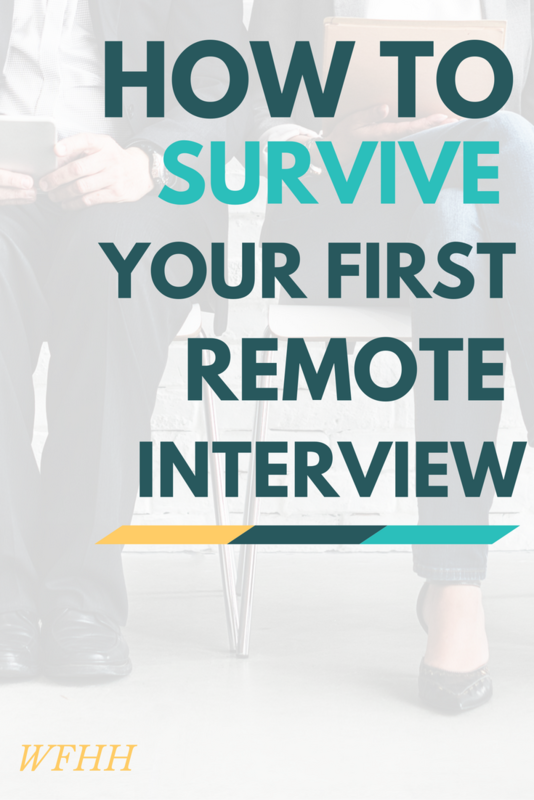 In this case, you should expect that the remote interview will be followed by an in-person interview. There is also a growing number of companies that operate in a distributed manner, that is, there is not physical office, and everyone is fully remote. In this case, it is often the case that every interview could be remote, and you may not get to meet your team in person until a later date (if ever). If you want to get the job, you have to prepare. The problem with this approach is that even if you are skilled and “know your stuff,” the employer is trying to assess both skills AND fit. If you don’t understand the potential employer and have not done the legwork, your chances of success are slim. You have to treat every interview like it’s your golden ticket. Even if you are not sure if the company is the right fit, just taking the call and doing the interview to “see what happens” without being prepared almost guarantees you will not have the option to move on to the next phase. You want options. You want to know as much as possible about your interviewer. Google them, look at their LinkedIn profile, read what they have written. Did they go to the University of Delaware? Ask them how the Blue Hens are doing this year! Did they go to high school in your hometown? Go Mustangs! Are they avid gardeners? Ask them about what it’s like to grow tomatoes in Texas! Don’t go too far (Facebook posts may be off-limits), but show you care and looked them up, if you are polite and engaging about it, you will already be ahead of the competition. Also, make sure you research the company. Look at their website, understand what they do, read press about them. Dedicate 30 minutes to this at the very least. If you do it for 5 minutes before the interview, it will show, I promise. Make sure you have a bulletproof Internet connection. If yours is spotty, find a coffee shop, a library, a neighbor, anything. Even though bad Internet connections are not your fault, it’s human nature to subconsciously attach the frustration of a technical glitch to the candidate. No, it’s not fair. Yes, it happens. Stack the deck in your favor, find a solid connection. You want to make a solid visual impression. Dress up as if the interview were in person. Groom yourself accordingly. Remember that your employer will be assessing your presentation and delivery as much as they will be testing your skills. Make sure your background is clutter-free, and clean. You could look like a million bucks, but if your background is a dirty kitchen, your odds are not as good. Find a place where you have full cell phone service, where there is no wind or background noise. Singers know that your voice sounds better when standing. Project and enunciate. We all sound better when we feel good. Dressing up makes us subconsciously feel stronger and more confident. The bottom line is prepare, prepare, prepare. Dress the part, and you’ll be on your way to success. Remember that interviewing is a numbers game, you want to make good impressions everywhere, and you want options. Have any good tips that have worked for you in remote interviews? The post How to Survive Your First Remote Interview appeared first on Work from Home Happiness.